With the blessings of HH Chinna Jeeyar Swamiji, Deerghayuvu Pharmacy started successfully on 25th Oct, 2015 at JIVA Campus. 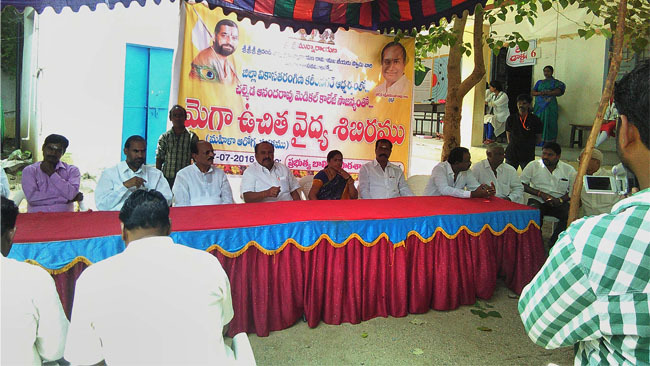 Dr. Jupally Rameswara Rao was invited as the chief guest for the program. Dr. Surendar Sharma, CAV (Cheraku Ayurvedic Vaidyas) and CME (Continuous Medical Education) groups are organizing this Ayurvedic Pharmacy and Dr. Ravinder Reddy is a managing director. They will prepare Ayurdevic medicines in JIVA Campus. Ayurvedic medicines for all diseases shall be available here. The main intention of this pharmacy is to provide quality and genuine medicines to the society. Vidangathandula Rasayanam was also opened by HH Swamiji. It is an Ayurvedic medicine, which was placed in a pit and covered about 3 months ago.